A DEAL to begin releasing Stormont’s deadlocked £80 million poverty fund has been brokered between the DUP and Sinn Féin – but political rivals have said questions remain over the controversy. The Social Investment Fund (SIF) was officially launched in March 2011, but The Detail revealed last month that none of the money has been passed to deprived communities. It was originally hoped that around £50 million would have been released by now, but sources close to the fund blamed the delay on red tape and claimed there was a political row over how the cash should be shared out, with data showing more widespread poverty in nationalist areas. It is understood that within the last two weeks the DUP and Sinn Féin reached a deal to end the controversy – though the nature of any discussions has not been revealed. However, First Minister Peter Robinson told the Assembly on Monday that SIF money will soon begin to reach communities and he dismissed claims of a political stand-off over how to allocate the cash. He announced plans to finance an initial number of projects, with a promise of more to follow, and said funding would be on the basis of factors including levels of need and would benefit the whole community. Mr Robinson said the entire £80 million is ringfenced for the fund and he raised the prospect of additional cash being identified, but there was a sceptical response from opponents. Ulster Unionist leader Mike Nesbitt said: “We would be very cautious about welcoming this as good news. “This money has been sitting in the OFMDFM (Office of First Minister and Deputy First Minister) bank account for too long. 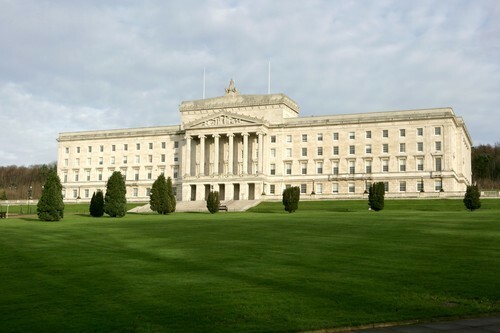 The SDLP said that Sinn Féin and the DUP were trying to avoid controversy, while Alliance said the delays in the fund had put some proposed projects at risk. Under the terms of the fund, nine SIF `zones’ were set up across Northern Ireland and a steering group was formed in each area to identify potential projects. The groups recommended up to ten proposals in order of preference and a total of 89 were forwarded to OFMDFM. The process of evaluating proposals is still ongoing, but Mr Robinson said projects valued at £40 million had been appraised and money should now go to schemes “provided that they are in the top two of a zone’s priorities”, though he said further announcements would follow. The nine zones will now each be assigned a share of the £80 million. The allocations – based on each zone’s size, but also the level of need – are understood to range from £7-8 million to around £12million, but this has yet to be confirmed. But it is believed that some of the projects funded in areas of highest need, such as west Belfast, will include schemes working on a cross-community basis. The SDLP’s Alex Attwood said: “Sooner or later, OFMDFM will scramble out of the hole that is the Social Investment Fund. “When that happens, there will be good projects that get funding and that will be welcomed. The Social Investment Fund was unveiled by the DUP and Sinn Féin on the eve of the 2011 Assembly election. The parties rejected claims at the time that they were seeking to win votes and insisted they wanted to direct cash to poverty stricken areas over a four year period. Sources involved in administering the fund blamed the subsequent delays on red tape, but also claimed the DUP and Sinn Féin were split on how to allocate the fund. Official data shows higher levels of poverty in Catholic communities, suggesting they should receive a greater portion of the fund, but in the past unionists have claimed the statistics fail to reflect issues faced in some deprived Protestant communities. When The Detail first reported on the SIF delay Sinn Féin confirmed it was in talks with the DUP and said that it wanted the money released on the basis of need. The DUP declined to comment at the time. But when he spoke in the Assembly on Monday Mr Robinson said the money was going to be released and he denied there was a rift between the parties. Responding to questions on the fund, he said: “In contrast to recent reports, there is no outstanding decision by ministers on zone allocations. Alliance Party Assembly member for East Belfast Chris Lyttle said: “This is an £80 million fund to help tackle deprivation and promote education, employment and health in our community.